In June Altcoin Buzz reported that the New York Assembly may be sending out a crypto task force. Today, the Chair of Subcommittee on Internet and New Technologies, Assemblyman Clyde Vanel, has officially confirmed the plan. In his Facebook post, he wrote that the governor of New York, Andrew Cuomo, signed the A8783B bill introduced by Vanel in late December 2017. It envisions the creation of a specialized blockchain task force. The letter’s goal is to explore cryptocurrencies and its underlying technology blockchain in full. The task force will comprise nine members from various areas. They will include technologists, consumers, institutional and retail investors. Representatives of enterprises and academics are also expected to join in. Some of them will be appointed by the governor and the temporary president of the senate. The speaker of the assembly will also have his/her say. According to the act, the task force is entitled to consult with any third party organizations it deems necessary. These include people, private organizations and government entities. New York has long since been active in the crypto and blockchain field. Thus, in May it held a major conference Consensus 2018. 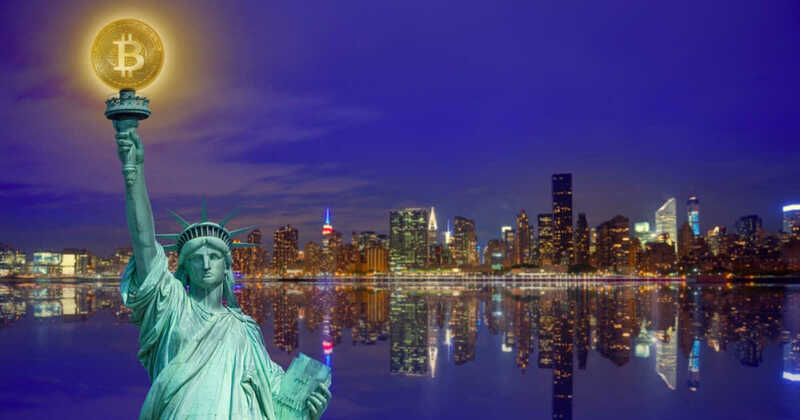 Back then James Patchett, President and CEO of the New York City Economic Development Corporation, expressed the desire to turn New York City into a blockchain hub. In August, New York Stock Exchange Owner, Intercontinental Exchange, launched Bakkt, a new crypto trading platform. In his FB post Vanel also noted that despite the fact that BTC has recently marked its first anniversary both crypto and blockchain are still in their infancy. He also mentioned that NY was the first state to launch an initiative such as BitLicense. He did not, however, explain whether it will be reviewed. To remind, not everyone is happy with the initiative. Some of the exchanges, like Kraken, left after its introduction in 2015. Vanel’s fellow assemblyman Ed Ra shares the general enthusiasm and points out that “New York must properly balance consumer protection with creating an environment ripe for investment and innovation in New York State.” Hence he is content that the task force has been created. Currently, California and Connecticut are also embracing a task force which aims at exploring the potential of blockchain.